The pre-participation physical examination (PPE) is an important step toward safe participation in organized sports. The purpose of the PPE is not to disqualify or exclude an athlete from competition, but rather to help maintain the health and safety of the athlete in training and competition. These physicals are pre-participation exams (PPE) strictly intended to meet MSHSL requirements. Why Preparticipation Physical Evaluation (PPE)? The purpose is to screen for physical and medical conditions that might put the student at risk for participation. The PPE does not replace your annual checkup or wellness exam with your primary care provider for immunizations and important age appropriate health guidance. If the student athlete is currently under medical care that requires further follow up prior to clearance for athletic participation, the student athlete will be referred to the appropriate medical provider. The pre-participation physical evaluation (PPE), commonly called a “sports physical”, is required in the state of Minnesota for student athletes. The primary objective of this evaluation is to promote the safety of the athlete. Secondary objectives include injury prevention and performance enhancement. A properly performed sports physical can assess current injuries or conditions that may be of concern or preventing the athlete from participation. The Minnesota PPE form is valid for three years. An annual health questionnaire is required every year. Any major health changes on the annual questionnaire may require a PPE to be conducted sooner. It is our opinion that a properly performed sports physical should be done on an annual basis. The reason for this is because of rapid changes of the physiology and biomechanical aspects of the adolescent body. The evaluation can screen for those minor and subtle changes and make appropriate treatment and/or training recommendations. The PPE evaluation in our office is very thorough. We conduct all the required recommendations of the medical portion of the evaluation. In addition we spend the time to evaluate the overall flexibility and strength of the athlete. We use this information to give recommendations on injury prevention, strength program needs and in some cases direct to the proper diagnosis of a particular injury. 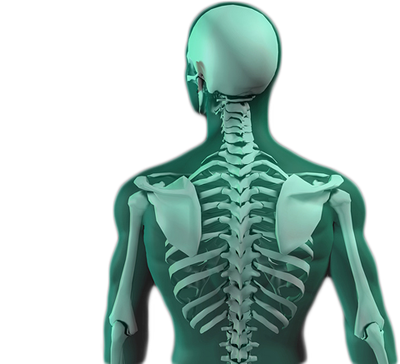 When an accurate injury diagnosis is made we can recommend a treatment plan that will expedite the recovery process.